Happy Thanksgiving! 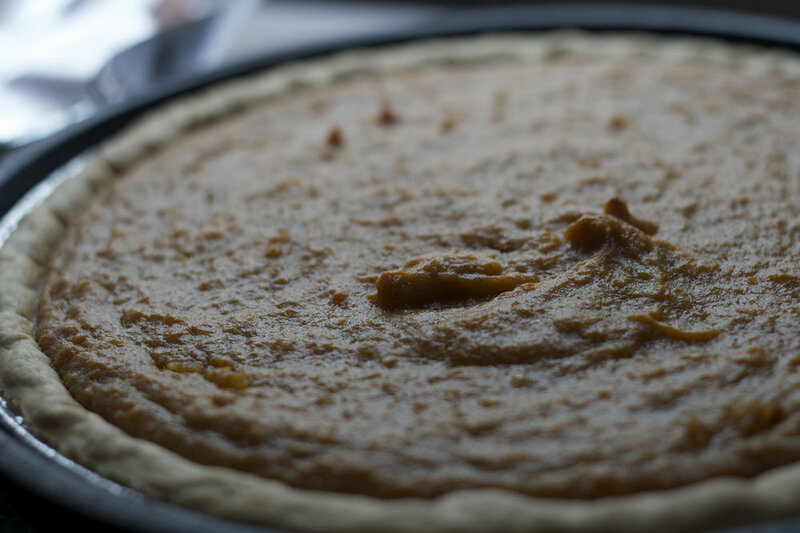 One favorite dessert for this holiday is sweet potato pie. This dessert is special because sweet potatoes have tons of beta-carotene, which converts to the essential nutrient Vitamin A within the body. Vitamin A does wonders for the skin and hair as it not only helps to promote free radical damage with its antioxidant properties, but it also promotes hair regeneration. Before diving into the recipe, here are some quick, hair friendly, nutritional facts about sweet potatoes that might help you to feel a little more encouraged and excited to bake this delicious dessert this upcoming season, or maybe even today. One sweet potato contains about 377% of the daily recommended value of Vitamin A. Sweet potatoes are a great source of dietary fiber. A medium-sized potato contains about 3.8 grams. Sweet potatoes are also an excellent source of some of the following vitamins and minerals: Vitamin C, manganese, copper, niacin, and phosphorous. 1. Place the graham crackers in a blender or food processor and gradually fold in the melted butter, brown sugar, and salt. 2. Once the mixture develops into an almost "dough-like" consistency, line the bottom of the pie dish and its edges with the graham cracker crust mixture. 3. After you have created the pie crust, place the pie dish into a 350 degree preheated oven for about 8 minutes, then remove, and set aside. 1. Begin by boiling the sweet potatoes. After the sweet potatoes are cooked through and allowed to cool, remove the skin. 2. Place the cooled sweet potatoes in a blender or food processor and gradually mix in the half and half cream, brown sugar, and other listed ingredients until the mixture is smooth and velvety. Note: Be sure to beat the eggs in a separate bowl prior to folding into the mixture. 3. Pour the filling mixture into the pie crust and place into a 350 degree preheated oven and bake for about 45 minutes. 4. Allow the pie to fully cool before serving. A note for the cook: This recipe is enough to make two sweet potato pies or one deep dish pie. Enjoy Black Friday with Indique!